Usher in the new year with festive holiday punches. Lots of us are ready to pop Champagne corks on New Year's Eve—a tradition that isn't going anywhere soon. However, celebrations like this one are exceptionally well-suited to punch-type drinks, especially when there's a crowd. The self-serve aspect of the holiday concoction means that hosts and hostesses can focus on other essential tasks, like keeping Uncle Milt away from the tequila. Here are a few of my favorite punch bowls, including non-alcoholic. While serving as bar manager at San Francisco's Rickhouse bar, Erick Castro created his excellent Champagne Holiday Punch. It calls for a Creole Shrubb, which is an orange-flavored rum. If you can't find it, substitute with a similar rum or a liqueur like Mandarin Napoleon. Likewise, you can trade out the genever for London dry gin. 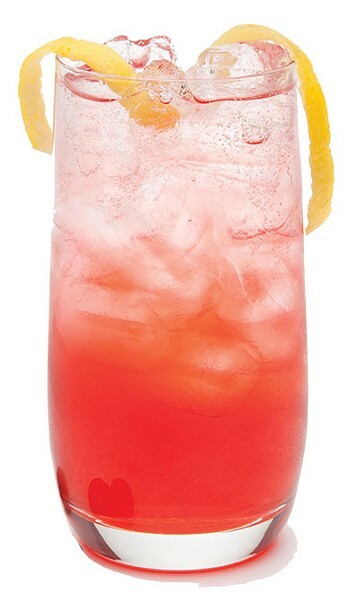 Combine 6 ounces of fresh lemon juice with 10 dashes of angostura bitters, 12 ounces of genever, 4 ounces of simple syrup and 4 ounces of Creole Shrubb. Refrigerate for a couple of hours until chilled. When ready to serve, gently stir in 4 ounces of Champagne or other sparkling wine, 8 ounces of club soda, large ice cubes and pods of star anise and pineapple slices to garnish. Anyone who's ever sipped a screwdriver knows the affinities that vodka and orange juice have for each other. Here is a Vodka Punch I adapted from the Big Girls Small Kitchen blog (BigGirlsSmallKitchen.com). It'll serve an army. Ideally, you'll want to use fresh-squeezed orange, lemon and grapefruit juice; but in a pinch, you can use store-bought. In a large punch bowl, combine 3 cups of plain vodka (perhaps from local Kid Curry); 3 cups of orange-flavored vodka; 4 cups (total) of fresh lemon, orange and grapefruit juices; 1 quart of seltzer; 2 cups of simple syrup steeped with a handful of mint leaves; 2 cups of sparkling wine; 3 tablespoons of orange bitters (like Beehive Spiced Orange Cocktail Bitters); and 6 cups of ice. Garnish with fresh mint leaves. Both kids and adults love this non-alcoholic punch recipe. The ginger ale gives it some celebratory zest, in lieu of having to use sparkling wine. To make Pretty Pink Punch, begin by dissolving 2 tablespoons of sugar in 3 cups of cold water in a punch bowl. Then add two 64-ounce bottles of chilled cranberry-raspberry juice, a 46-ounce can of chilled pineapple juice and a 12-ozunce can of thawed frozen pink lemonade concentrate. You can do all of this ahead of time, and refrigerate until you're ready to serve. Before serving, stir in 1 liter of ginger ale and garnish with lemon slices or raspberries. It's not technically a punch, but I love Rosé Champagne Cocktails, and they're not too far off. It's a drink that's elegant in its simplicity. For two cocktails, slice a sugar cube in half with a serrated or sharp, thin knife. Place half a sugar cube into the bottom of each of two Champagne flutes (I like to use old-fashioned coupes). Add four dashes of aromatic bitters (like Bitters Lab Aromatic) to each glass. Then top them off with rosé. Add a lemon twist garnish and you're ready to rock. For whiskey fans, this Citrus-Irish Whiskey Punch recipe—which first appeared in Bon Appétit—is a must-try. It calls for oleo-saccharum, which adds a kick to the punch; you can find easy recipes for it online. In a large bowl or pitcher, combine 1 and two-thirds cups of Irish whiskey, 1 and two-thirds cups of strong black tea, half a cup of fresh clementine or orange juice, half a cup of fresh lemon juice, half a cup of oleo-saccharum, seven dashes of aromatic bitters, and 1 and a half teaspoons of freshly grated nutmeg. Chill for 3-8 hours, then strain into a serving bowl. Garnish with lemon and orange slices, and serve over ice with freshly grated nutmeg.